Finding the best GVS product for your application, GVS custom manufacturing, design and support services play a key role in total production. While the fundamental design technology used in digital disk based recorders DDR for the industrial market may seem similar to that used in the consumer market, the underlying design requirements are not. GVS industrial VTR, often exposed to the elements, must meet a stringent set of environmental constraints, including wide temperature and moisture ranges, dust and humidity. GVS9000 also must endure shock and vibration levels never seen in the home and comply with government or industry certifications that consumer products rarely require. Moreover, given their frequent use in mission-critical functions, the GVS9000 must be built to a higher level of reliability, and guarantee operation over longer product life cycles. The key factor clients must learn is that there is distinct differences between commodity products and products for industrial applications. Commodity products take advantage of every cost savings to compete and must leverage extremely high volumes and a low product mix. GVS products are typically used in lower volumes, and demand more customized feature sets, usually requiring specialized system integration and unusual form factors. In the consumer market, manufacturers quickly replace products and technologies with new approaches designed to gain a market edge, and product life cycles only last a year or two. GVS product customers have different priorities, and in many applications, GVS9000 must undergo time-consuming government qualifications to earn required regulatory acceptance, which can significantly extend the length of the development cycle. Performance requirements in terms of GVS900 functionality, performance, speed and uniformity vary widely from application to application in the industrial video market. Their performance requirements can even vary within a market segment. In the media arena, they need consistence, and reliability of original content, and data protection against accidental deletion by users. 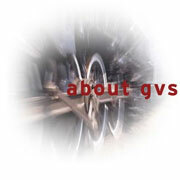 GVS products are designed for utmost speed, reliability and long life. GVS products that are used in the field, such as GVS9000 VTR, GVS9000 FLypack and Nomadic storage product, are designed to endure a wide range of temperature and moisture conditions, taking various advancements in commercial products and having them available for industrial application. Reliability and durability are also important criteria within GVS product families. Service and support are another key differentiator in the GVS industrial product . Access to a wide variey of system integration and design skills is a crucial factor of GVS9000 and Nomadic products success. GVS9000 placed in FlyPacks, aviation equipment, submarines, mobile and portible applications clearly require vastly different system design capabillties. GVS design team goes to great lenghths to determine if the particular prodcut meet or excide it primarry applicaitons. Since 1988 company been manfacutere can demonstrate a proven track record of success in its rugged, reliable and most cost effective products in its maket place. GVS takes a total systems approach and offer extensive design and manfacturing services, fomr hardware to software developemtn expertise is to look at there partnership over the years with qulified VAR, Resaller and Systems Intgratter to deliver a total turn key solutions for clients. Gieven the wide array of applications with GVS9000 in the industrial market, some of most advanced partners that are able to utilize GVS expterize with high level of product services to deliver the customer a complite soultion. This partnership to help customers integrate a GVS9000 products into the total system more efficinently. These third-party partners offer a wide range of services, with GVS 24/7 support team.